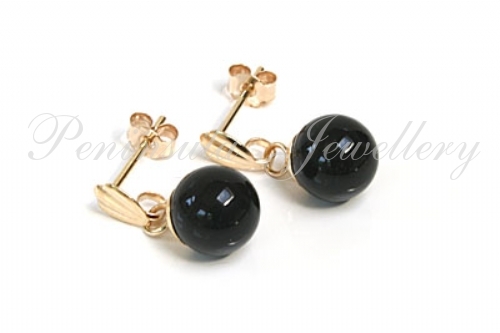 Classic drop earrings with 6mm Black Onyx balls. Standard 9ct gold posts and backs. 12mm long. Made in England. Supplied in a luxury gift box - Great gift!! 9ct Gold Pink Abalone Oval Pendant and chain.